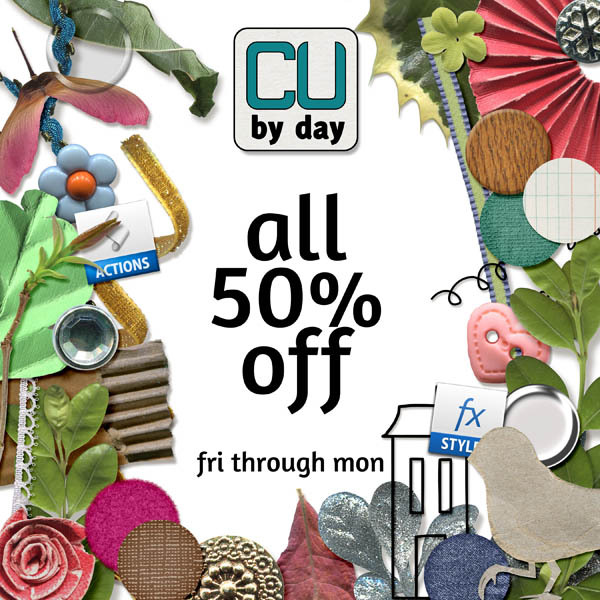 CU by Day: Black Friday Sale!! Good morning, another Friday, but not JUST another Friday! We don't have black Friday up here in Canada, but that's why I love online shopping!! Hoping to find some great Christmas deals today! In honor of the day, I have a huge sale on this weekend.. 50% off my entire store.. right through Cyber Monday!! There's lots of goodies to browse through, so I know you'll find something you love! click the ad to visit my store!